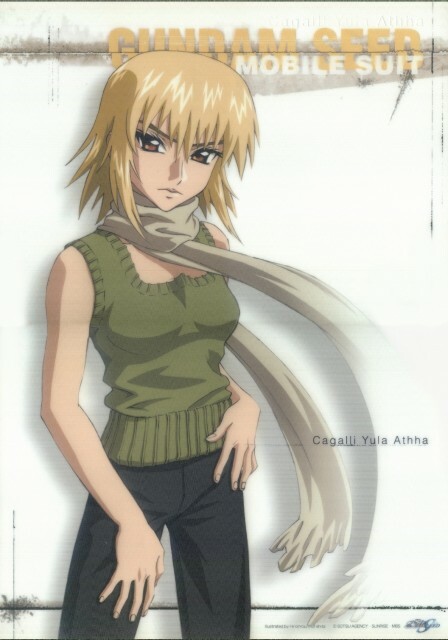 Cagalli looks hot in this really nice scan of yours, wish I was level ten to download it though. >=0000000~~~~~!!!!!!!! >=0000000~~~~~!!!!!!!! >=0000000~~~~~!!!!!!!! >=0000000~~~~~!!!!!!!! >=0000000~~~~~!!!!!!!! >=0000000~~~~~!!!!!!!! wow.....thats a good picture of cagali.....if only i were lvl.10 or higher. This is a pretty great picture of Cagalli indeed. 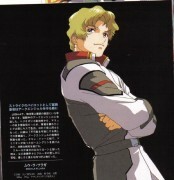 Just as nice as the one of Lacus in casual clothes you have also pl401. :) Nice indeed. Were these taken from an artbook? It seems like that to me! Oh thats a great picture of Cagilli..very pretty like you said casual..i like the green and yellows it make her look pretty. I love that outfit Cagalli is wearing. Nice way to go with the pants thing. I can't afford this scan right now, but I'll be back! waaaa! this image is realy amazing! tnks for this cagalli scan image ^^! weee! I love this scan! Not to mention the others! Thanks for sharing! The coolest girl in SEED series!